New Han Solo movie plot details revealed by Bob Iger for classic "Star Wars" character's "origin story"
The Walt Disney Company’s chief executive officer and chairman Bob Iger appeared today at the University of Southern California’s Marshall School of Business to give his insight on his career running one of the biggest media conglomerates in the world, and along the way he dropped some new tidbits about Disney subsidary Lucasfilm’s upcoming Star Wars spinoff movie about a young Han Solo. Iger confirmed that the young Han Solo film, currently in production under directors Phil Lord and Chris Miller (“The Lego Movie”), will serve as an origin story for everyone’s favorite scruffy-looking scoundrel. 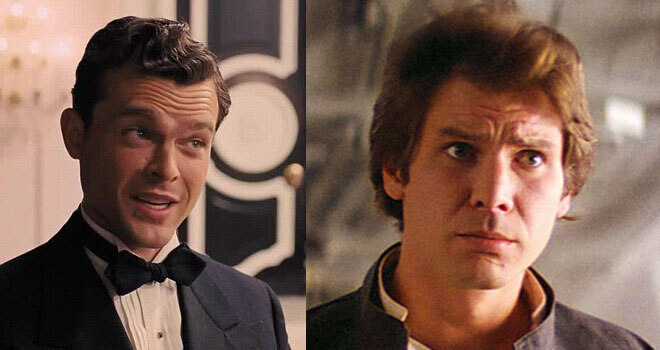 He also noted that the story will detail how Han (to be played by Alden Ehrenreich, who inherited the role from the legendary Harrison Ford) will come into possession of “a certain ship”– though every Star Wars fan worth his or her salt knows he won the Millennium Falcon from Lando Calrissian (Donald Glover, taking over from Billy Dee Williams) in a game of Sabacc. We’ll also learn how Solo “meets a certain Wookiee” and “how he got his name.” Now, the first one we could assume, seeing as how Han’s rescue of Chewbacca from Imperial slavery is long-established Star Wars lore, and it makes sense it would be included in this origin tale. However, “how he got his name” is a very interesting morsel indeed, since as far as we know and have assumed since the release of the original Star Wars film, the dashing smuggler’s name has always been Han Solo. 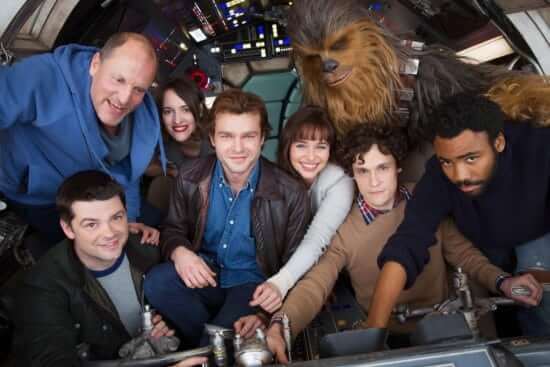 Now, whether Bob misspoke or accidentally (or perhaps intentionally) revealed a key piece of information about the young Han Solo project, this crumb of news is certain to be a hot topic of conversation among Star Wars enthusiasts as we wait for more specifics to be uncovered for the movie, which is currently set to be released on May 25th, 2018.
thanks for the cool info mate.